Features: Stablilazing Pistol Brace. Mlok Rail. Flash Supressor. New! 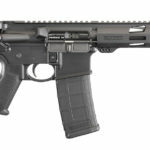 The Ruger AR-556 Pistol features a lower receiver that is fitted with an adjustable pistol stabilizing brace to aid in accuracy, balance and recoil management, the slim 9″ handguard is free-floating for accuracy and provides enhanced ergonomics and support. Magpul M-LOK accessory attachment slots along the 3:00, 6:00 and 9:00 positions. 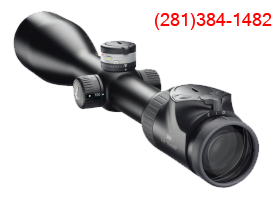 Made from aerospace-grade 7075-T6 aluminum forging, the flattop upper receiver includes a forward assist, dust cover and brass deflector. The bolt is machined from 9310 alloy steel and is shot peened and pressure (proof) tested to ensure strength, structural integrity and durability. The twist rate stabilizes bullets from 35 to 77 grains and the 5.56 NATO chamber allows the use of both 5.56 NATO and .223 Rem. ammunition. M4 feed ramps provide improved reliability and the matte black oxide finish reduces glare and provides corrosion resistance. A matte black oxide finish on the exterior of the bolt carrier provides corrosion resistance. A Ruger flash suppressor is provided, and the threaded barrel allows for standard muzzle accessories to be installed. Includes a 30rd Magpul PMAG. PLEASE CLICK ON PICTURES FOR MORE RESOLUTION!